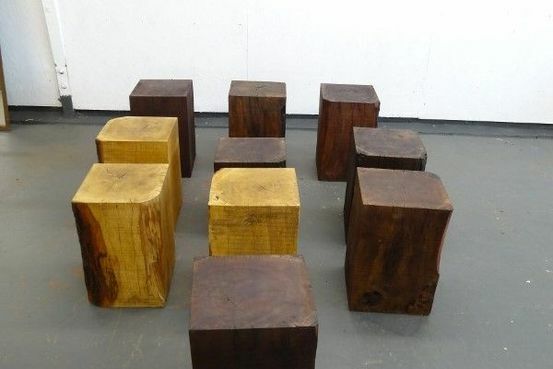 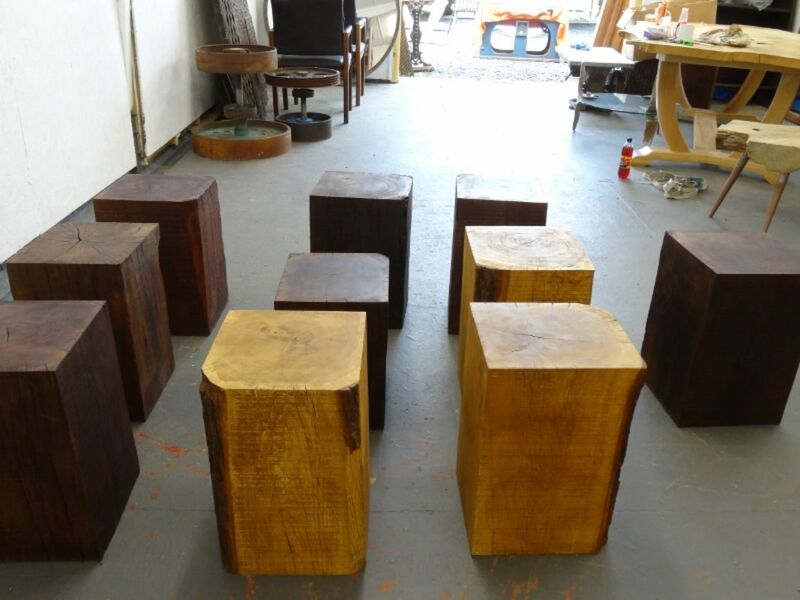 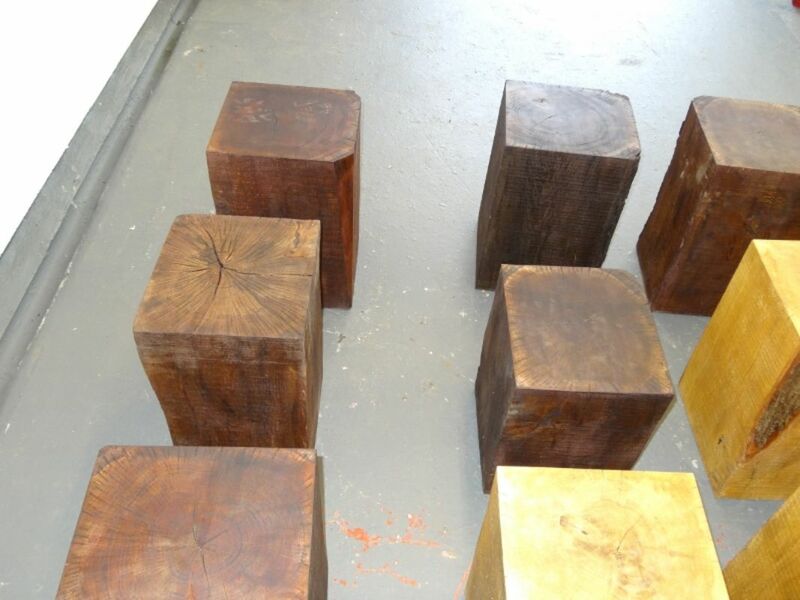 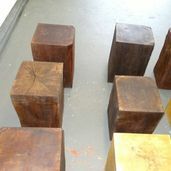 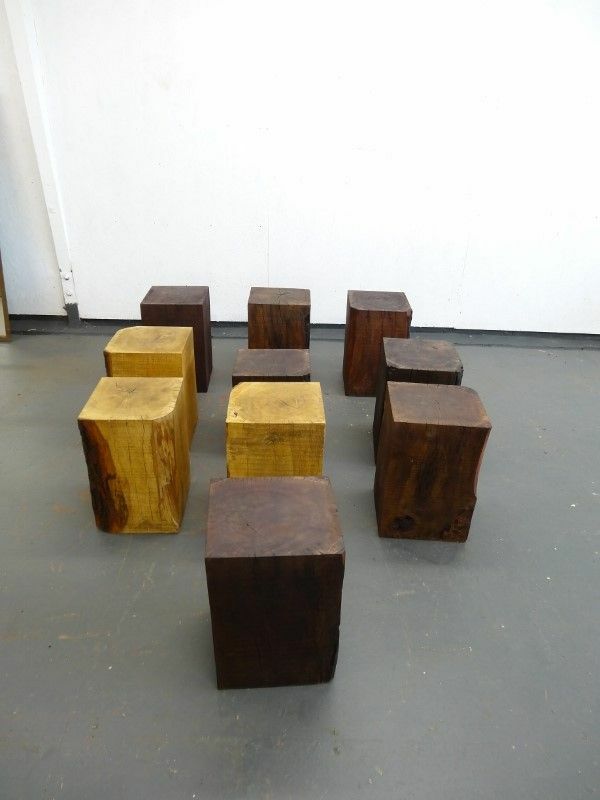 Oak Chunk Coffee table/stools. 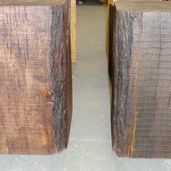 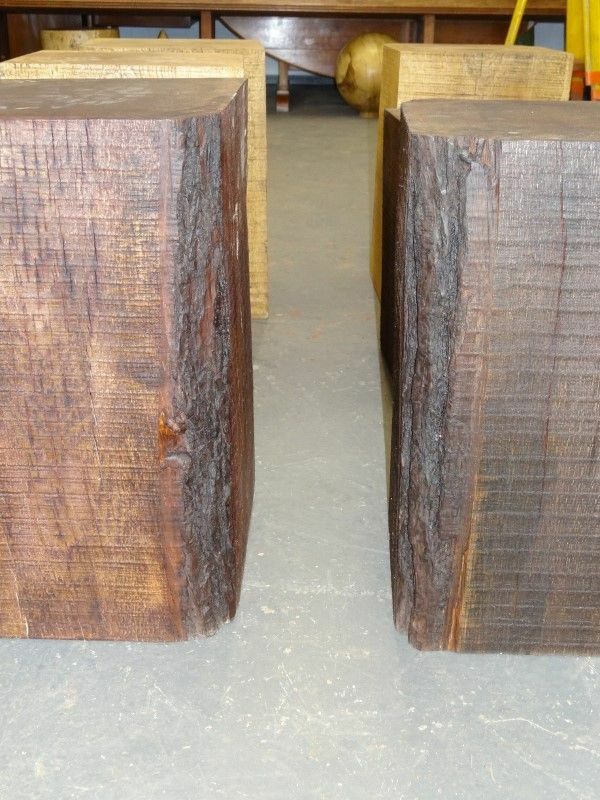 Cut from 12” (30.5cm) 12 ¾” (33cm) band sawn oak, some showing bark to the corners some stained dark, some left natural. 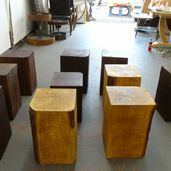 All are waxed. 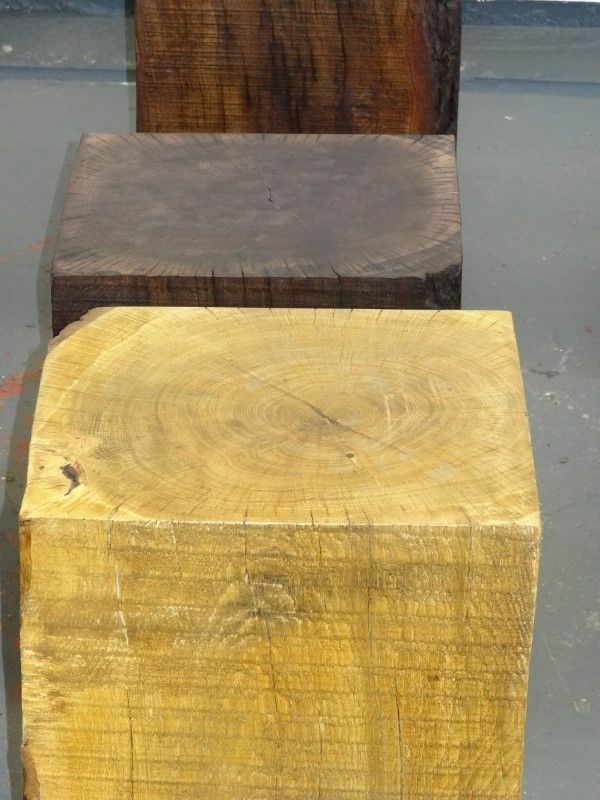 Heights vary from 15 ½” (39cm) to 19” (48cm). 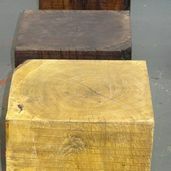 All have cracks to the outer surfaces which will change, grow and enhance the aesthetics depending on the environment.